IDC/Games and British developer Playdat announced today the release of the Open Beta of the free-to-play MOBA ‘Korner 5’ in Spain, Latin America, Brazil, Portugal and Poland, in the languages corresponding to these regions. This game, with its Open Beta starting today, is a complete 5 vs 5 MOBA for users to play multiplayer matches taking the role of different football players and playing in teams. 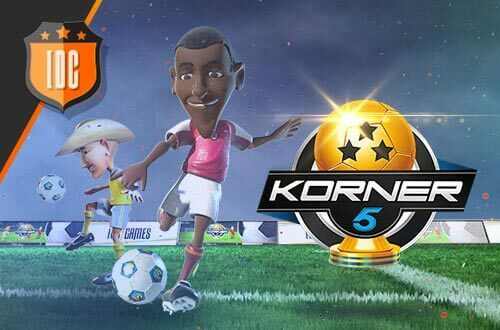 Players can sign up and play now at korner5.idcgames.com/. With the addition of this game to IDC/Game’s portfolio, the brand continues to establish itself as publisher. Moreover, it is as booming company in the online games arena, where it offers both developers and users a unique and impeccable solution for location, publishing and marketing of online games.